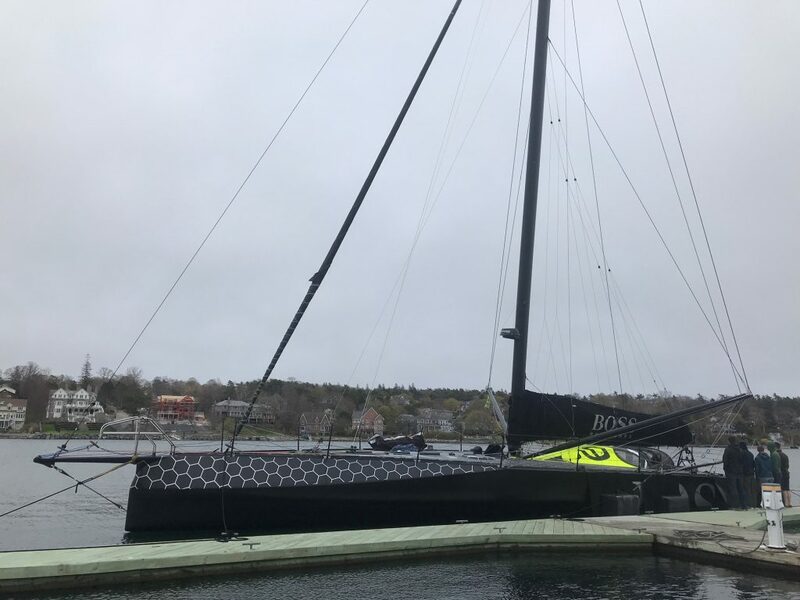 Alex Thomson and his Hugo Boss Imoca 60 racing yacht arrived at the Royal Nova Scotia Yacht Squadron last night. built to compete in Distance off shore races – Thomson last ran the 2016 Vendee Globe. The yacht is built for single handed operation. 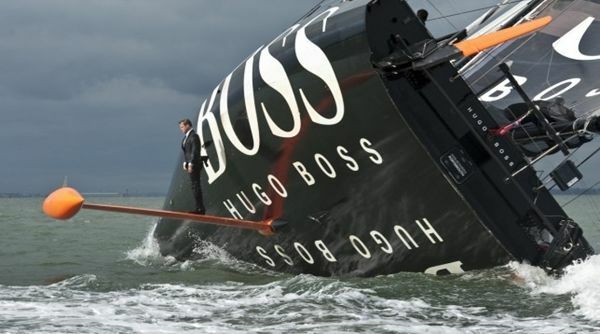 Thompson is probably best known outside sailing circles for his Hugo Boss Promotional work Which featured climbing the mast while the boat was heeled, Standing on the Keel, And wakeboarding behind the boat. 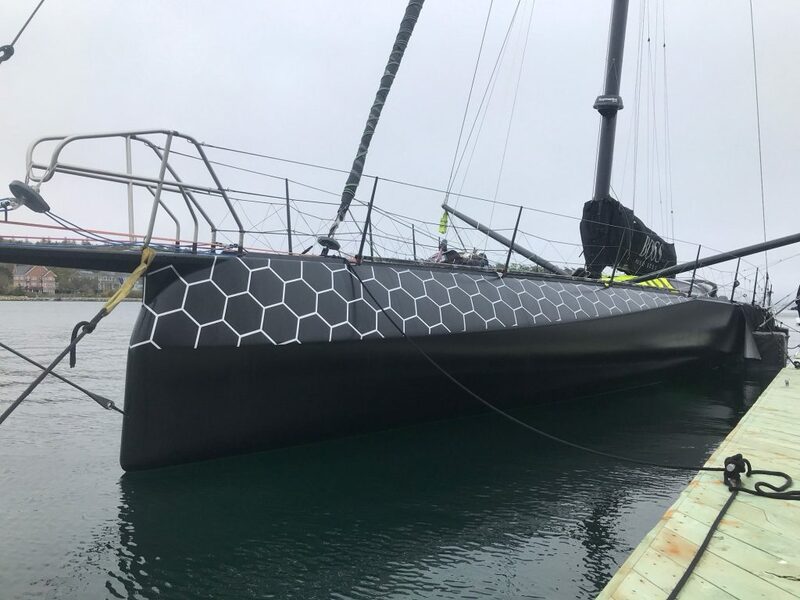 This entry was posted in sailing, yacht on May 16, 2018 by Peter.